Ryan Tedder of OneRepublic will be part of the cast. Songwriters get the spotlight in a new NBC talent contest. In each episode, five contestants will work with music producers and a recording artist to perfect their tunes. One winner per episode will have his or her song released as the artist's next single, NBC said. 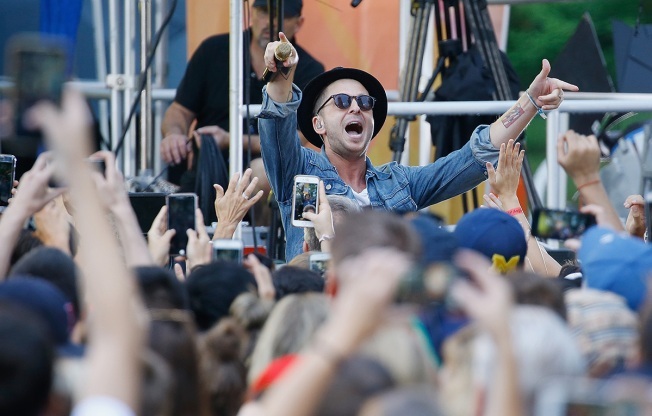 The first episode includes Ryan Tedder of OneRepublic, songwriter Ester Dean, country singer-songwriter Shane McAnally. Charlie Puth is the recording artist. Eurythmics co-founder Dave Stewart and Maroon 5's Adam Levine are among the executive producers of "Songland." Would-be contestants will be able to apply at an upcoming website, NBC said. A series debut date wasn't announced.